Browzine is a tablet-friendly service for browsing scholarly content. The Madden Library is providing access for Fresno State students, faculty, and staff to Browzine, a tablet-friendly service for reading scholarly content. Rather than searching for articles with keywords, Browzine presents journals by subject area, so you can explore and keep up with the latest scholarship in your field. It provides a way to experience online journals in the same way you might browse through print journals in the library, allowing you to discover items of interest that you wouldn't have thought to search for. You can use Browzine on the web or with apps for mobile devices. If you create an account with Browzine, you can save and organize articles of interest. You can also save and organize your favorite journals to your personal bookshelf, and get alerts when new articles are published, providing an alternate way to "subscribe" to a journal. Browzine remembers which articles on your bookshelf you've read, and tracks that information across devices. Easily retrieve full text of articles on your tablet. Email a link to an article to a friend or colleague. Save citation information to popular citation managers, including EndNote. Open PDFs in other apps, such as DropBox or Google Drive. Share citation information of interesting articles on social media. You can read a review of Browzine from ProfHacker, a blog about teaching and technology. No tablet? No problem! You can use Browzine on the web by navigating to browzine.com. 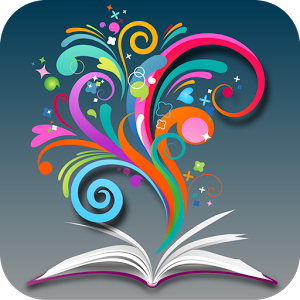 When you first open the Browzine app or web site, you may be asked to choose a library. Choose "Fresno State" to include access to the Madden Library's collections in the app. You may need to log in with your Fresno State email username and password. Browzine doesn't include all the electronic journals to which the Madden Library subscribes, but it does support a large and growing number of publishers. If you tried it, let us know what you thought! Your feedback is important to us so we can decide whether to continue providing access to Browzine. Answer the poll below and send any comments or questions to David Drexler at ddrexler@csufresno.edu. What did you think of Browzine?